Neat and tidy, Vienna is a joy for music lovers, food aficionados, and philosophers of all sorts. Founded by the Celts, developed by the Romans, ruled by the Babenbergs, embellished by the Habsburgs, besieged by the Ottoman Empire, and occupied by the Nazis, Vienna today is one of Europe’s most uniquely elegant cities. Whether contemplating Freud’s findings, sampling a Sacher Torte, or tuning into some opera, it is sure to charm. Visit Vienna with Context on our private and semi-private guided tours. We offer many private and semi-private guided tours for the culturally curious traveler. Our most popular experience is a basic introductory Vienna walking tour of the 1st District, which is perfect for first-time visitors. 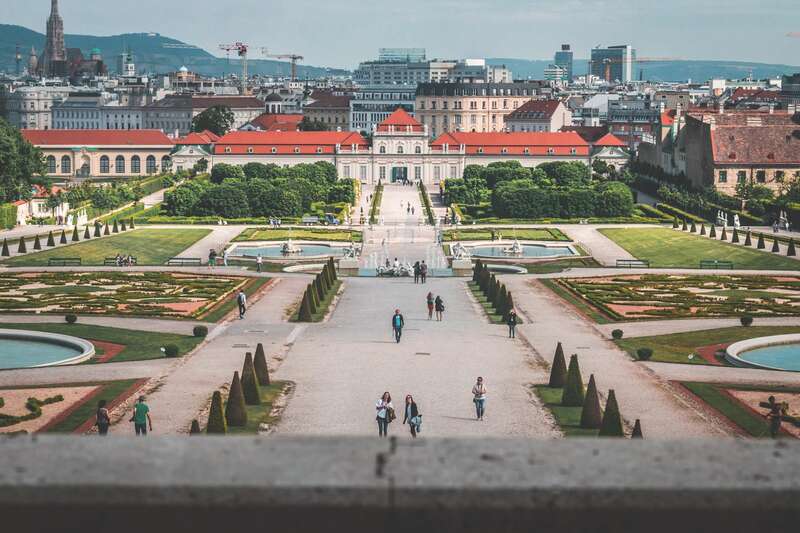 If art is your thing, you might try either our Vienna Secession Tour, which looks at the pivotal years around 1900 and Viennese Art Nouveau, or our Kunsthistoriches Museum Tour, for a taste of the Habsburg's incredible art collection. Or, if you really want to dig into Habsburg rule and Imperial Vienna, we offer a Schönbrunn Palace Tour with a historian.